The holidays are meant to be shared with the entire family, so why not cook up a little love for ALL your family members. 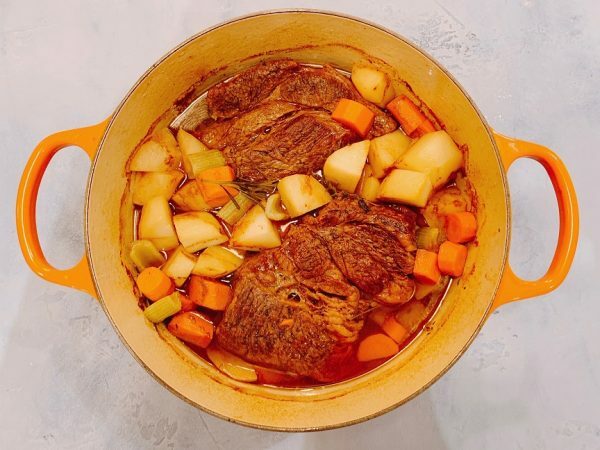 This pot roast recipe is delicious and simple for even the novice cook. 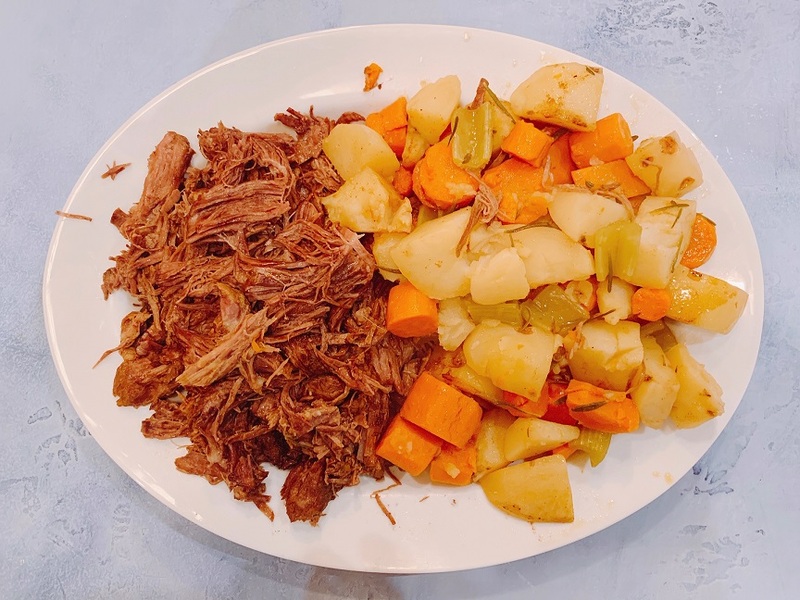 It is also a great weekend dinner in the winter months to eat in your PJs and wonderful the next day as a brisket sandwich. Be sure to save the juices for the au jus! Heat the olive oil in large pot or Dutch oven over medium-high heat. Add the carrots and toss them around until slightly browned, about a minute or so. Reserve the carrots on the side (I use my pot lid for convenience). Place the meat in the pot and sear it for about a minute on all sides until it is nice and brown all over. Remove the roast to a plate or lid. While the burner is still on high, use 1 cup of beef broth to deglaze the pot, scraping the bottom with a whisk. Place the roast back into the pot and add enough beef stock to cover the meat halfway. Add in the carrots, potatoes and celery, along with the fresh herbs. Put the lid on, then roast for 3 hours for a 3-pound roast and 4 hours for a 4-pound roast. Shred the roast with two forks and serve with the vegetables to your hungry family. Add salt and pepper to taste for the human family members. Note that you may also use a crockpot to make this recipe. Simply place the roast, vegetables and herbs in a crockpot and cover with the broth.